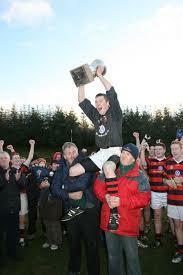 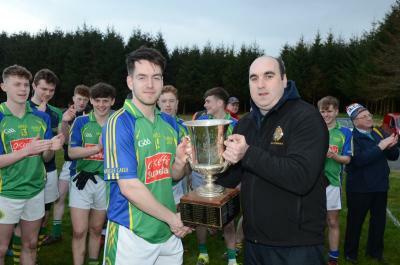 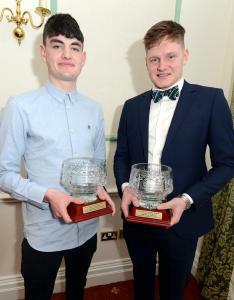 Central Stores Kanturk U21 B Football Championship FinalDuarigle Gaels 3-12Boherbue 2-09Played at Rockchapel GAAA new name was etched into the Roll of Honour of Duhallow U21 Champions, as Duarigle Gae.. 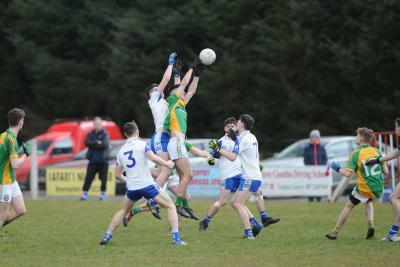 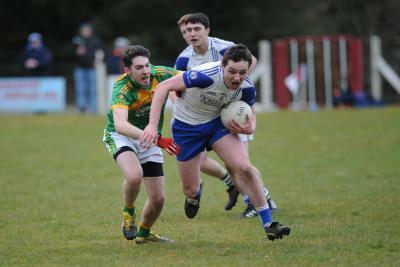 The 2018 Central Stores, Kanturk sponsored Duhallow Under 21 Football Final takes centre stage with the meeting of Boherbue and Duarigle Gaels expected to draw a large crowd to Rockchapel.These two si..
A number of Duhallow Clubs were due to start their County Championship campaign this weekend, however the recent bad weather has curtailed the Fixtures Programme. 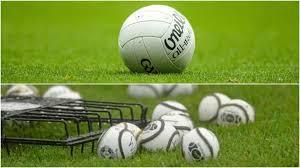 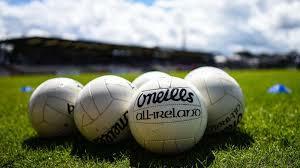 The following Football Championship f..
DUHALLOW GAA FIXTURES MASTERPLAN 2018Friday, April 6@ Glantane, J'C'FC R1, Tullylease v Ballyphehane, 8.00pm ETSaturday April 7Central Stores Kanturk U21BFC Final @ Rockchapel, 3pm: Boherbue v..
DUHALLOW GAA WEEKLY RESULTS, 2 APRIL 2018Co. 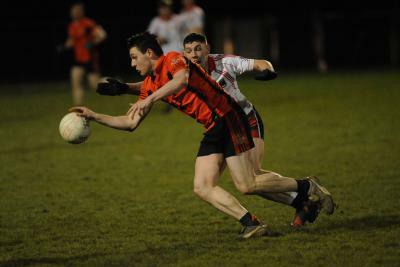 SFC R2Duhallow 0-19, UCC 1-10Central Stores Kanturk U21 B Football Championship Semi-Finals: Duarigle Gaels 0-15, Kiskeam 1-11Boherbue 2-13, Knocknagr..
Two cracking Easter weekend Under 21 Semi-Finals played today with Boherbue and Duarigle Gaels advancing to the Duhallow U21 Final.Boherbue 2-13, Knocknagree 2-12Played at Rockchapel GAAIn a game that..
Congratulations to Michael Mahoney of Knocknagree & Ryan Walsh of Kanturk on receiving Cork City & County Youth Sports Star of the Month, marking incredible All Ireland Club Final wins in Crok.. 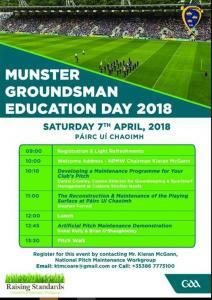 The GAA's 2018 Munster Ground Maintenance Education Day will take place in Páirc Uí Chaoimh on Saturday April, 7.Attendees will hear from a number of key speakers over the course of ..
Saturday, March 31Central Stores Kanturk U21BFC SF @ Ballydesmond, 4pm: Duarigle Gaels v Kiskeam. 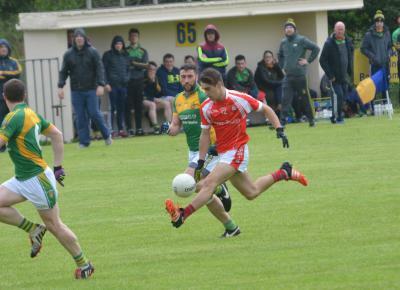 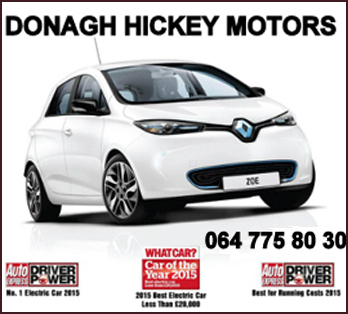 ET if needed (ALT venue: Kiskeam)Central Stores Kanturk U21BFC SF @ Rockchapel, 4pm: Boherbue v Knockn..
Cork Senior Football Championship Round 2Duhallow 0-19, UCC 1-10Played at Kilshannig GAA, 27 March 2018Duhallow put in an impressive performance to defeat UCC in Round 2 of the Cork SFC and advance to..